All the instruments are designed for extreme environmental and hazardous conditions and are certified PED, ATEX and CE mark. Since 1984, Ettore Cella has been a Italian official SIT centre for the calibration of pressure measuring instruments, including weighing benches, manometers, pressure transducers and transmitters up to 4000 bar. Ettore Cella is market leader in Italy and Spain. Moreover its brand is well-known worldwide for the high quality of its products. The firm is ISO 9001:2000 certified and their motto is "CONSTANT HIGH QUALITY". 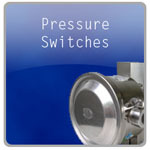 Main products: pressure switches for relative, differential and absolute pressure; temperature switches; pressure transmitters for relative and differential pressure, analog and SMART; pressure gauges for relative, differential and absolute pressure; pressure test gauges; thermometers gas filled and bimetal; thermocouple and thermo-resistance; chemical seals; thermowells; accessories for installation. Click below for a direct access to Ettore Cella product page. If you have any other enquiry about Ettore Cella products, please contact us. Ettore Cella Spa was founded in 1897 in Milan, Italy, by Mr. Ettore Cella for the manufacturing of pressure gauges and thermometers. 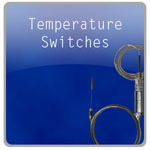 During the years the company has grown to become one of the leaders in the production of pressure, temperature and level measurement and control instruments and it is recognized for the high quality of its products. The company, still managed by the Cella family today, maintains its strategy to reinforce its leadership in the instrumentation market. The headquarters are in Milan (Italy) and the company comprises a large and modern production facility, with R&D engineering staff as well as a calibration and quality team.